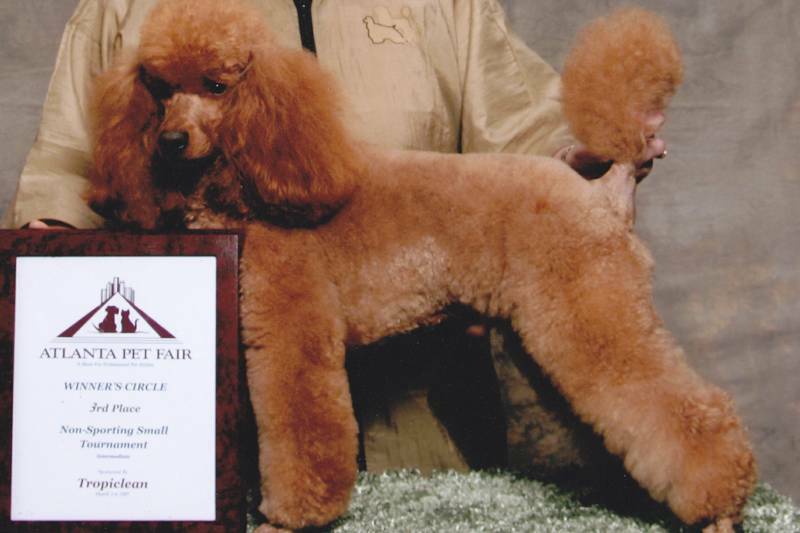 Ginger is a super dark Red Miniature Poodle. Ginger has a wonderful personality and is friendly to all. She loves to play and never meets a stranger. Although she is cut back in these pictures, Ginger has a lovely thick curly coat. Ginger will be bred when she is old enough, most likely in 2017.